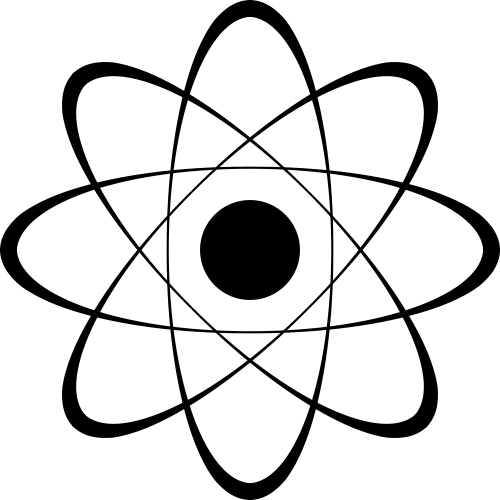 Atoms, protons, electrons, are mathematical constructs. Nature has no building blocks. It appears to be a bootstrapped wholeness in which matter has no absolute existence or any other absolute quality. All is subject to observation. This is a post on Quantum Physics. The title of the blog entry is deliberate, to signify that the patterns and interconnections that exist at the sub-atomic level exist very much even at the Macro level. The deeper one's understanding of nature's self similarity (across scales and disciplines) the better a decision maker one becomes. Firstly some passages from 'The Tao Of Physics". From Chapter 4, "A New Physics"
"Quantum theory has demolished the classical concepts of solid objects and of strictly deterministic laws of nature. At the subatomic level, the solid material objects of classical physics dissolve into wave-like patterns of probabilities, and these patterns, ultimately, do not represent probabilities of things, but rather probabilities of interconnections. Quantum theory thus reveals a basic oneness of the universe. It shows that we cannot decompose the world into independently existing smallest units. As we penetrate into matter, nature does not show us any isolated ‘basic building blocks’, but rather appears as a complicated web of relations between the various parts of the whole. These relations always include the observer in an essential way. The human observer constitutes the final link in the chain of observational processes, and the properties of any atomic object can only be understood in terms of the object’s interaction with the observer. This means that the classical ideal of an objective description of nature is no longer valid. The Cartesian partition between the I and the world, between the observer and the observed, cannot be made when dealing with atomic matter. In atomic physics, we can never speak about nature without, at the same time, speaking about ourselves." The last statement of the above passage is interesting. Why just in atomic physics? This would apply to nature at all scales. Modified Capra statement: "We can never speak about nature without, at the same time, speaking about ourselves." • "Bohr saw quantum mechanics as a generalization of classical physics although it violates some of the basic ontological principles on which classical physics rests." • "Bohr thought of the atom as real. Atoms are neither heuristic nor logical constructions." • "Bohr flatly denied the ontological thesis that the subject has any direct impact on the outcome of a measurement." • "Bohr said "there is no quantum world. There is only an abstract physical description." By saying "only an abstract physical description" Bohr could be reminding us of the non traversable gap between the map and the territory. Formulae of Physics and Engineering are maps. The system in operation is territory. Territories have qualities to them that maps, which are mere descriptions, can't ever have. It seems to me that for Bohr, sub atomic particles are as real* or as unreal as objects of the macro world. "We are suspended in language in such a way that we cannot say what is up and what is down. The word "reality" is also a word, a word which we must learn to use correctly." The territory of the "sub atomic world" would be much richer than what we know, and will ever know. Because the gap between the map and the territory is non traversable. And finally back to Fritjof Capra. •There is particle nature, but no particle. There is solidness, but no solid. ".....the entire [probability] pattern represents the electron at a given time. Within the pattern, we cannot speak about the electron’s position...."
"The waves associated with particles, however, are not ‘real’ three-dimensional waves, like water waves or sound waves, but are ‘probability waves’;....probabilities of finding the particles in various places and with various properties."